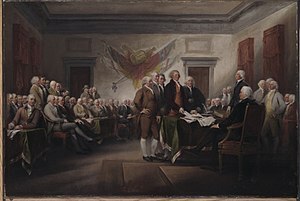 Eleven score and fifteen years ago our fathers brought forth on this continent a new nation, conceived in liberty and dedicated to the proposition that all men are created equal. There are three weekends in the year that strike horror and despair in the hearts of all soft drink vendors like me. They are; Memorial Day weekend, the weekend before the Fourth of July, and Labor Day weekend. Not only are these weekends extremely busy with huge crowds in every store and shelves that cannot be kept full, but we have to order in large amounts of product, so much that we spend more time trying to get to what we need than actually stocking our stores. And this is why I have been working 10-12 hours a day all this week.